Plug-in five I/O mixer for ACCESS 2USB. 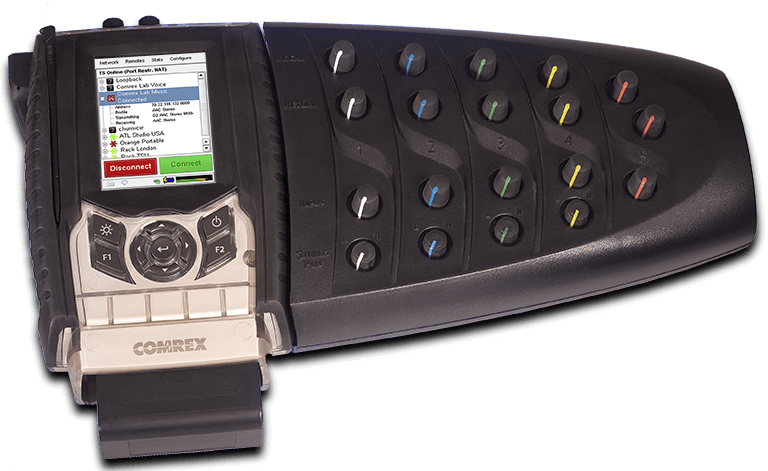 The Comrex ACCESS 2USB is a remote broadcast tool that provides utility and portability, but has limited audio I/O built-in. The portable includes one mic/line adjustable input on XLR, one stereo line level input on mini jack, and a headphone and line-level stereo output on mini-jack. The ACCESS 2USB Mixer accessory was designed to address these limitations for applications that require multiple audio I/O for remote broadcasts. 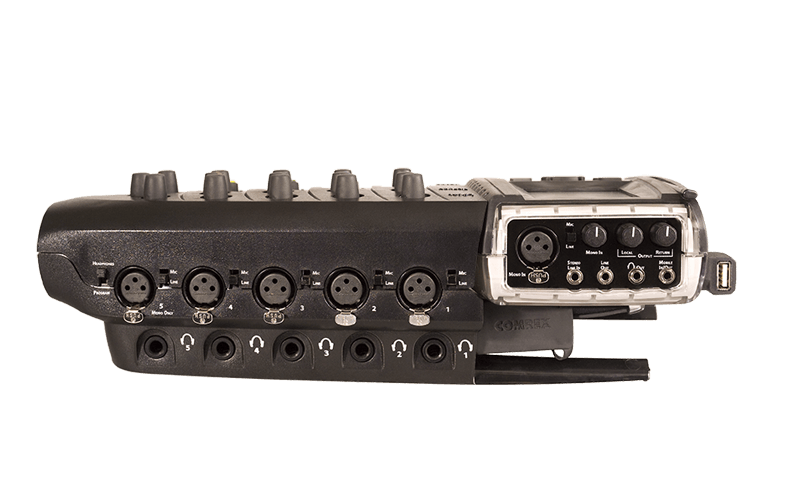 The unit “docks” to the ACCESS 2USB and expands the audio I/O to five mic/line selectable XLR Inputs and five stereo Headphone Outputs on 1⁄4″ jacks. All ACCESS 2USB audio connectors remain active during use of the Mixer, so the total number of Input/Headphone connector pairs increases to six.